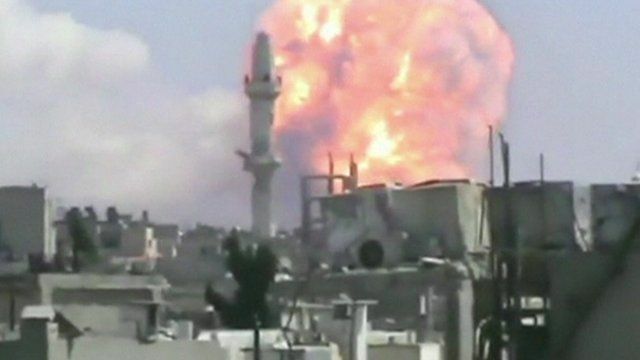 What happens next for Syria? Jump to media player Rajesh Mirchandani has been piecing together the information coming in from both sides of the conflict in Syria. 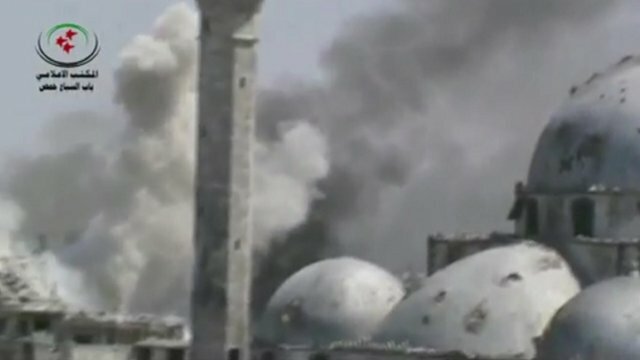 Key Homs area 'retaken' by army Jump to media player Syrian government forces have fully captured a district that was a key rebel stronghold in the central city of Homs, state media report. Syria rebel leaders hold talks at UN Jump to media player Syrian rebel leaders have met for the first time with the United Nations Security Council to discuss the country's two-year civil war. 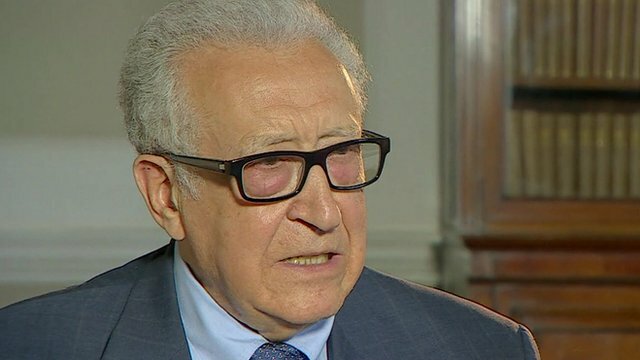 Sending weapons to Syria 'deepen crisis' Jump to media player The UN-Arab League special envoy to Syria, Lakhdar Brahimi has warned that sending more weapons to Syria will only only deepen the crisis. What happens next for Syria? The conflict in Syria began as a series of major pro-reform demonstrations in key cities in early 2011. These protests - and the Assad government's reaction to them - became increasingly violent. The administration suffered a wave of military defections as protests escalated into a full-scale rebellion. Rajesh Mirchandani has been piecing together the information coming in from both sides of the conflict.